Lucky for me, back in college I dated a girl who drank Diet Coke. That’s what she always had in her apartment, so whenever I was there that’s what I drank. After a while “regular” colas started tasting sticky-sweet and I couldn’t drink them any more. Of course, diet sodas have some stuff in them I probably shouldn’t be drinking for other reasons. So what am I supposed to do, drink water? Oh … right. But we don’t drink it. Some people like bottled water for the convenience, but that’s not my thing. So why don’t I drink it? I just figured it out. You ready? Because it’s boring. 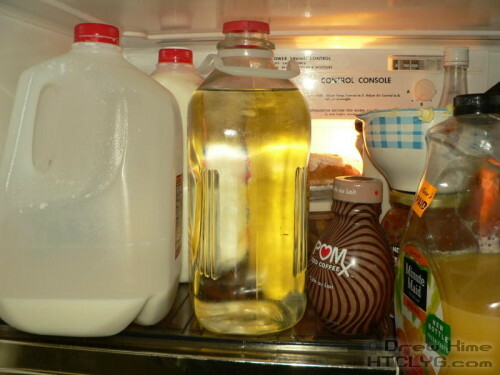 No, nothing wrong with it, it just isn’t asÂ interesting as the other things in the fridge. Wait, the fridge, could that be it? It turns out that yes, all I had to do was start keeping water in the fridge along with all my other drinks. As soon as I had cold water handy and didn’t need to bend over and get the ice cubes out of the freezer — and gosh what a hassle that is — I started drinking water. How about you? Do you drink tap water? If not … why?